This is a creamy rich fruit salad. This one is unique and you I haven’t seen this one at too many pot luck dinners. This can be made ahead of time, and served later. Best of all grapes are always in season, so you can make fresh tasting grape salad whenever you like. This is an incredibly easy recipe to make. 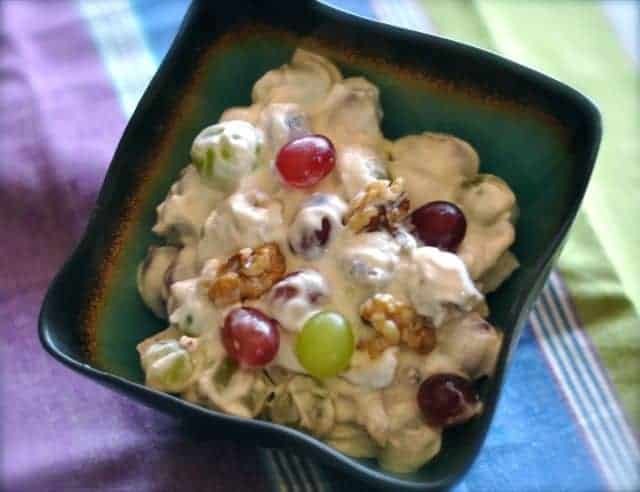 You need a few types of grapes, walnuts, sour cream, and powdered sugar to make this delicious salad. If you are a beginner cook, this recipe is perfect for you. It can be put together in a matter of minutes. What I really like about this salad is that you can make this one ahead of your dinner or event a day or two ahead, and the flavors will only taste even better. 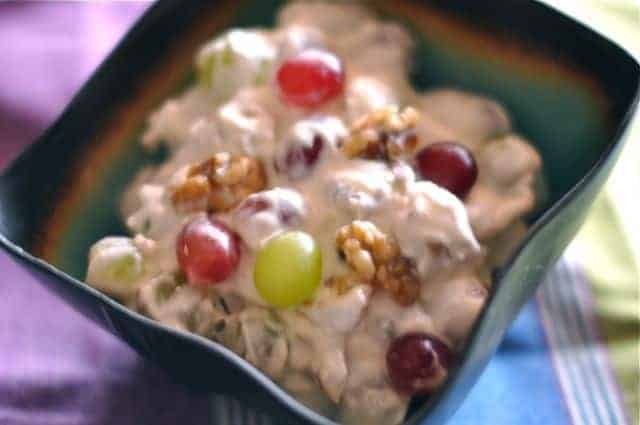 This grape salad is made with fresh grapes, Cool Whip, and toasted walnuts. Wash and completely dry Grapes. Mix sour cream, cream cheese, lemon juice and powdered sugar with a mixer until will combined. Add the grapes to mixture in a large bowl. Then chill for 1 hour. This is a great salad for a family dinner.